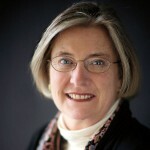 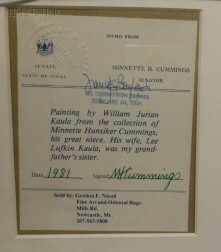 Minnette Hunsiker Cummings, Maine, affixed to the backing. Gouache and graphite on paper, sight sizes to 7 1/2 x 10 in. 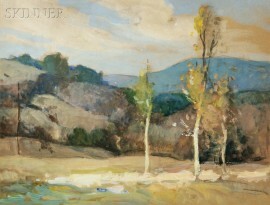 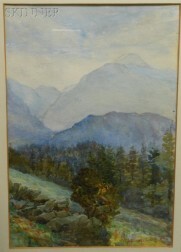 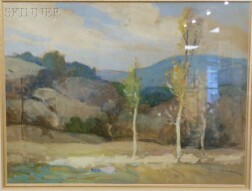 (19.1 x 25.4 cm), framed. 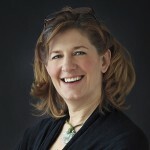 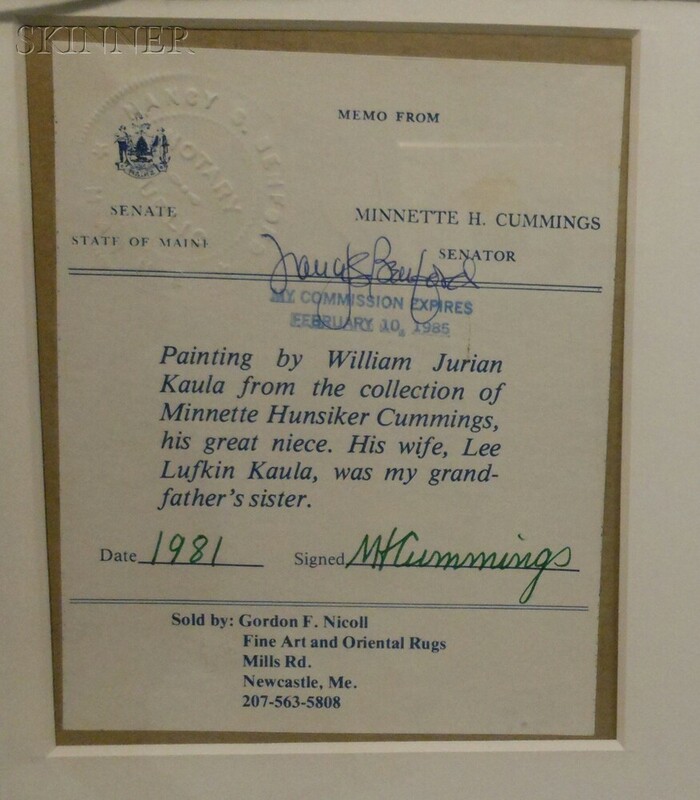 Provenance: One from the artist to his wife Lee Lufkin Kaula, then by family descent to her great niece Minnette Hunsiker Cummings, Maine. 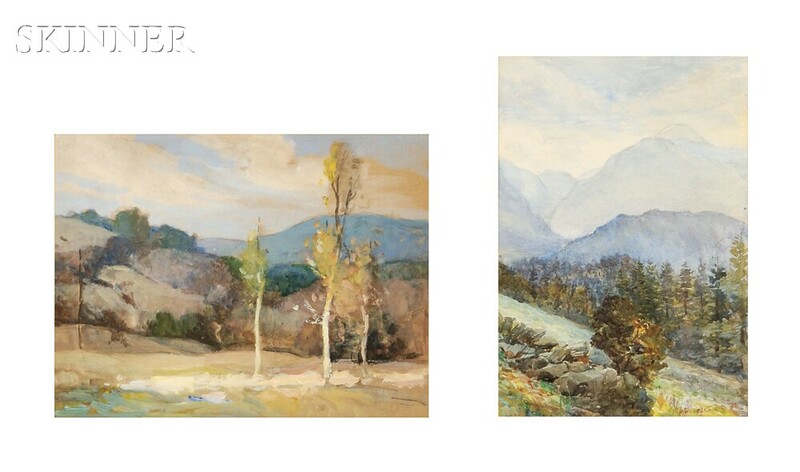 The toning is more pronounced to the support of the horizontal composition. 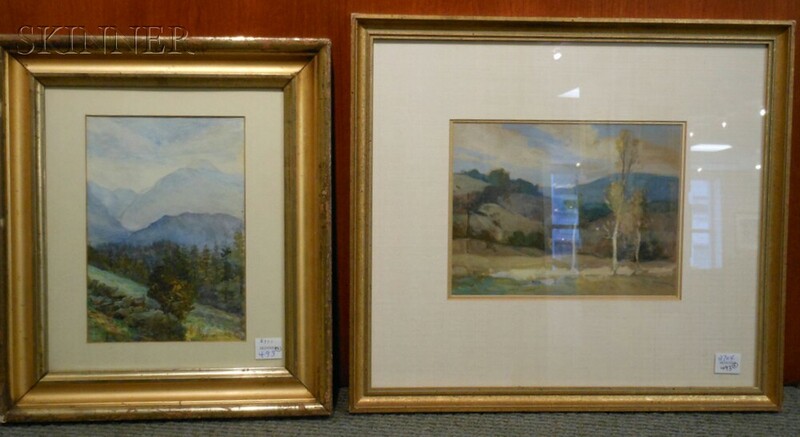 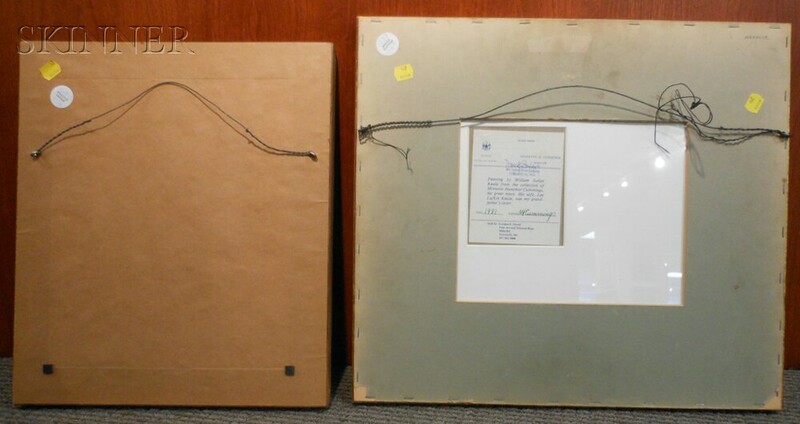 Although they have not been removed from their frames, there are no other visible condition issues to report.